The lower Eagle River trail (also called the River Woods Trail) runs along the Eagle River in Chugach State Park and can be hiked all times of the year including winter. Often overlooked, it's just minutes from downtown Eagle River. 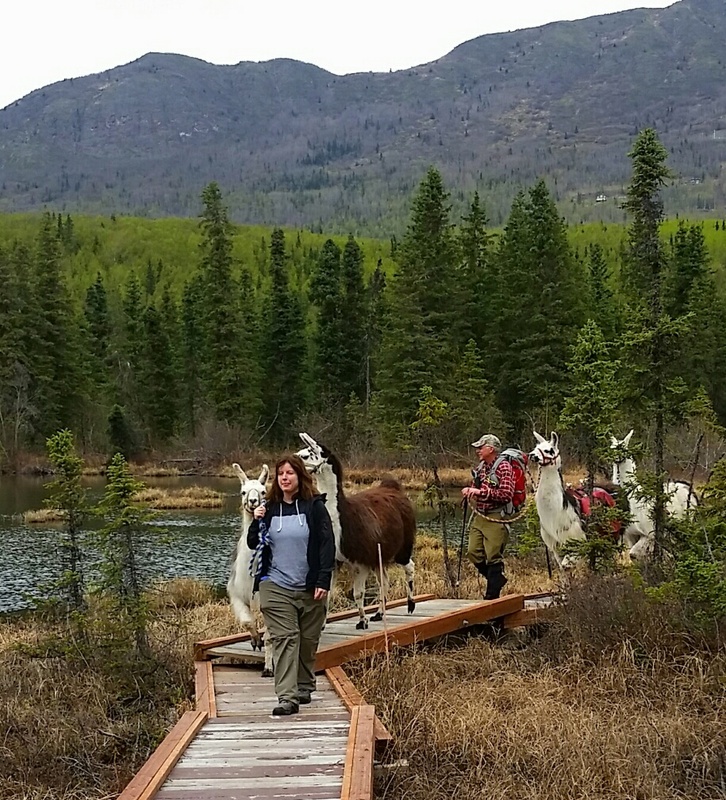 It's an easy walk that offers convenient access with intermittent views of surrounding mountains and opportunity for wildlife viewing. 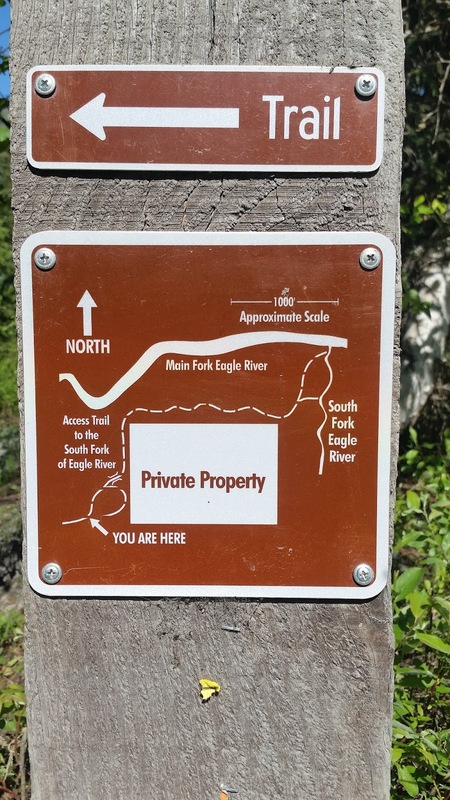 The trailhead can be accessed from the south side of the Briggs Bridge off the Eagle River Loop Road where there is pubic parking and a boat launch. From the Briggs Bridge access, the lower Eagle River trail goes east for through birch and spruce forest over relatively flat terrain. The old section of trail skirting the private land has been improved over the years and is now clearly marked. (See photo on left.) Boardwalks have been added to a marshy section next to the Swan Pond. Remains of charred trees and scorched ground remind us of the wildfire that burned about 25 acres in this area over the Memorial day weekend in 2016. More info on the May 2016 wildfire at this link - Hiland Road Wildfire. 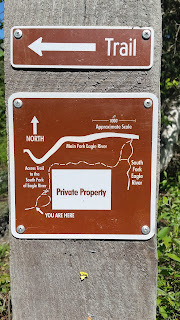 In about 3 miles the trail reaches the South Fork stream. 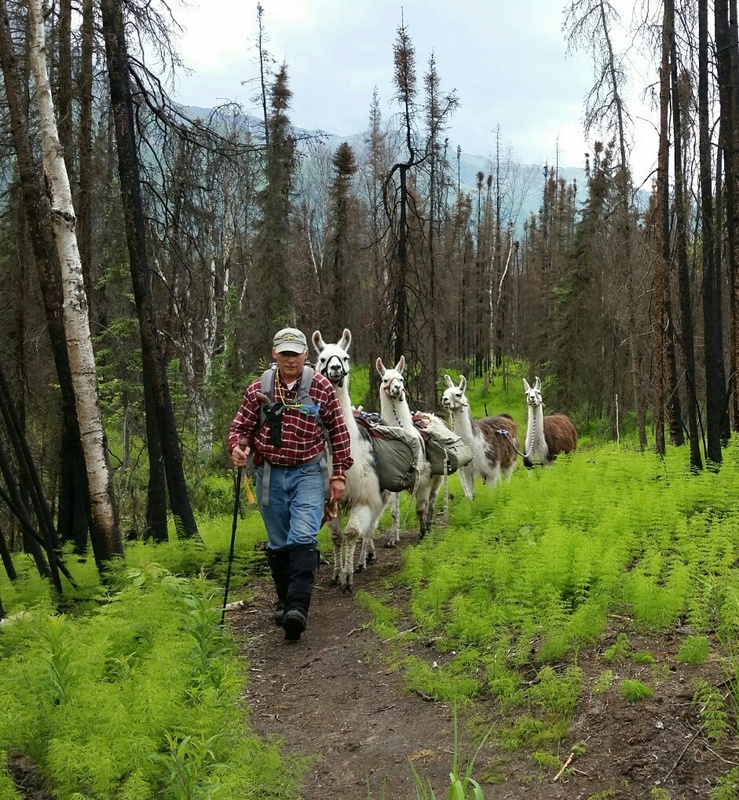 A trail to the left cuts through the woods and takes the hiker to the confluence of the South Fork and Eagle River. 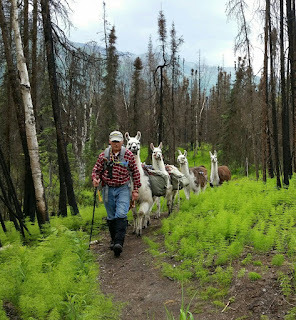 If you walk a short distance beyond the trail to the left, you will reach the South Fork itself. The bridge across the South Fork is long gone so you will have to ford the stream if you want to pick up the trail on the other side and continue to Barbara Falls, also called South Fork Falls. Since our destination today was the Eagle River, we took the trail to the left. It's a short hike (maybe 1/4 mile) from here to the Eagle River. When salmon are in the river be particularly "bear aware" along this stretch as you could surprise a bear due to river noise. At the confluence, there is a grassy area and exposed gravel bar where you can take a break and enjoy views of the river and surrounding mountains. The trail is open to biking as well as hiking so it's not unusual to see fat tire bikes on the trail. 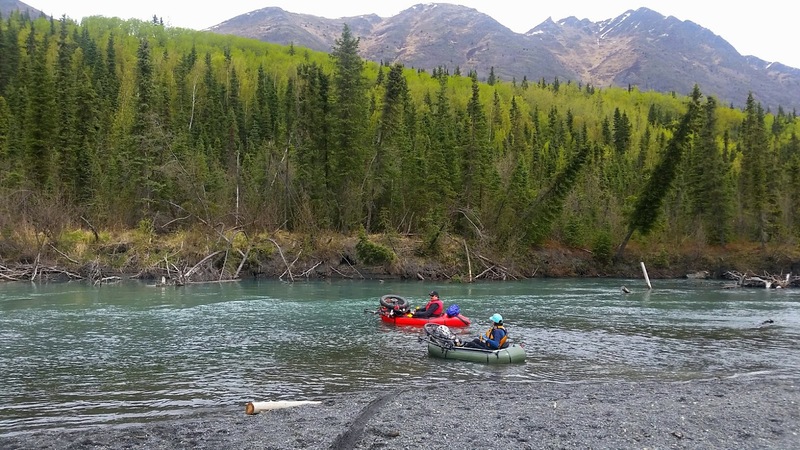 It is also common to see rafts and kayaks floating by on the Eagle River at this location. 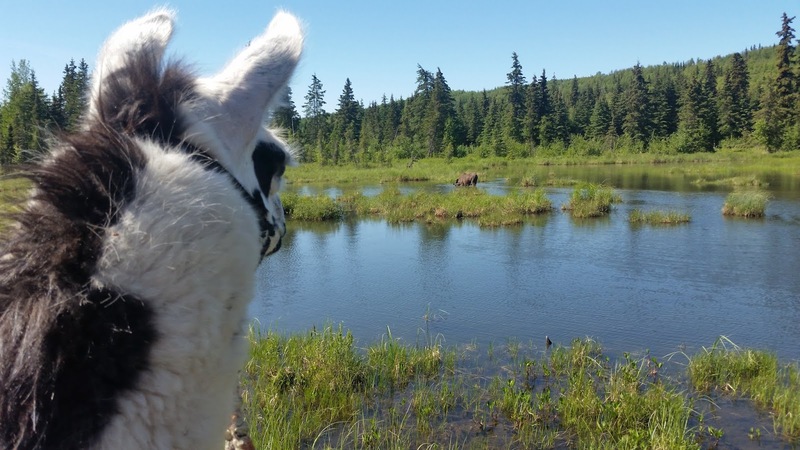 Visit Alaska Llamas on FACEBOOK!